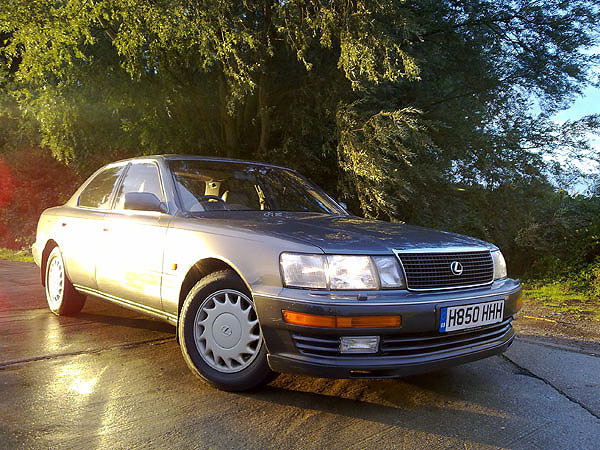 I jest, of course, but it seems timely that I should get my hands on Lexus GB’s 1990 LS400 on the same day that I upload the story of Jaguar’s exciting AJV8 engine – because it’s clear that the appearance and capability of the former must have had a bearing on the latter. It’s the 20th Anniversary of Lexus in the UK and, to celebrate, the company has bought a couple of 1990 LS400s in order to form the beginnings of a heritage fleet. I think it’s great that manufacturers are increasingly doing this because, looking at what they were doing years ago and comparing it with today’s output shows that, if there’s continuity in the cars, we can see it first hand. The reason I have the LS400 with me is because some of the guys at Lexus HQ were keen to drive my SD1 and it seemed only fair to swap for a few days. Anyway, back to the LS400. It’s a car that the magazines hailed as being ground-breaking when launched. In terms of refinement, power and luxury, it broke new ground for Toyota – and was to be a fitting product to slap a brand new nameplate on – before going BMW and Mercedes-Benz chasing. The heart of the Lexus LS400 is its unerringly smooth quad-cam V8. Is the LS400 as good as the magazines said it was? In terms of mechanical refinement, absolutely. The quad-cam V8 is astonishingly silent in use, but delivers effortless, creamy performance whenever needed. The engineers considered it so good, they gave the throttle two kick-down points and, boy, does that work. Even comparing it with today’s luxury V8s, the LS400 is still up there in terms of ultimate refinement – and that’s no exaggeration. 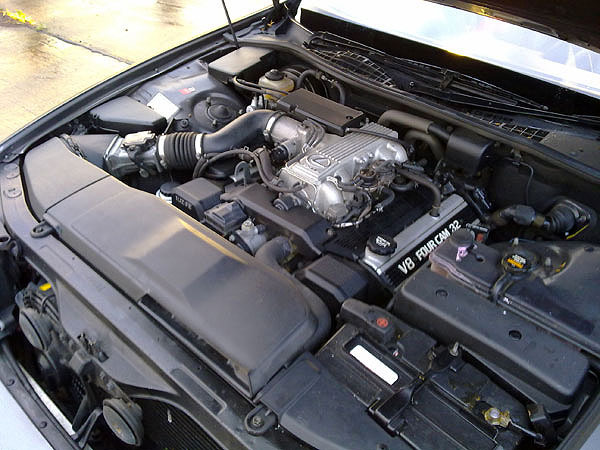 The engine’s huge capability had Lexus’ rivals at BMW, Jaguar and Mercedes-Benz running back to their drawing boards in order to come up with something close to matching the creamy V8. No doubt, we really should thank the Japanese – indirectly – for the magnificence of Jaguar’s current V8. The LS400 brought new standards of quality into the arena, too. Ultimately, it might not be quite as solid as what Mercedes-Benz was putting out at the time, but those parts of the car you touch with any regularity have been so well damped and engineered to perfection, that you’d swear blind an LS400 was more tightly screwed together than a W124 or W126 Benz. The styling was criticised for being too anodyne and maybe a little generic when new, which did count against it in Europe. We’re a badge conscious lot here and the luxury car set wasn’t ready for something so overtly Japanese – so we bypassed it. The Americans, on the other hand, lapped it up. The marque has gone on to become an international phenomenon and, slowly but surely, is developing a profile on our side of the Atlantic, too. I must admit that I have a massive admiration for the Japanese way of engineering cars – and I love this thing in the same way I do the Honda NSX and Datsun 240Z. It might not be the first car you’d think of when asked to come up with examples of game-changing vehicles but, having driven this 100K 1990 car – which still feels as tight as a drum, I’d rate it up there. Once again, I find myself thinking like Mr Partridge of Norwich and hankering after one of these wonders as a direct replacement for my much-loved and sometimes missed Rover Sterling. 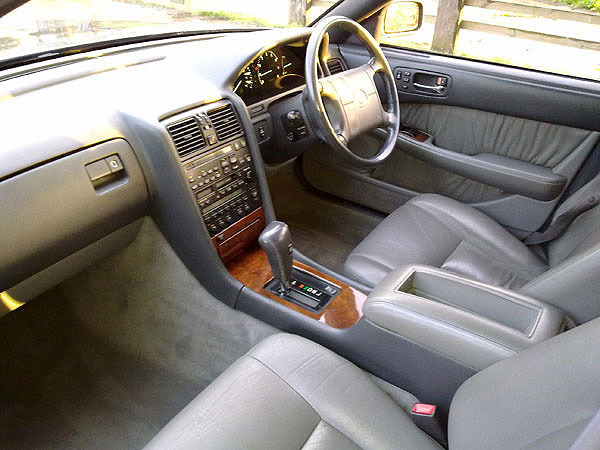 Lexus LS400 interior: a switch-feel fetishist’s delight. Cracking car Keith, I’d be tempted to swap the SD1. Nice car. It doesn’t actually look very dated, despite being 20 years old. I think that we should thank the people behind the XJ6/12 for making cars with superb refinement and ride comfort a long time before Toyota. I love the LS400 – dirt cheap to buy and you just know that it’s going to last forever. It’s only recently I’ve found that Infinities are sold over here, I saw a lot when I was last in America. Then again Lexus didn’t seem to do that much premotion in the early 1990’s. Urghh!! Dull as dish water, I liked it back in 89/90 but when it came out but I wouldn’t thank you for one now… horrible! I always thought of them as being kind of bland and boring. Not much styling on the outside (shoe box) and the inside just looks….bland. Much better with the SD1. I could never understand people who bought Lexus as new when they could have a Jag or BMW for the same money. “Lexshuhhhs, the japanese Mercedes.” 😀 In all seriousness I really love those cars. There’s something of a 70’s American pimpmobile in the styling which I really love…but would I take one over an 800? Not a chance! I think the interior looks a lot less special than the outside, to the point of being normal (in fact it reminds me of a 600) while still being slightly repulsive. Still a smart motor and I’d take one over a Bluemotion or any other Eurobox anyday though. Nice post by the way Keith. Always thought the LS had something of the W126 about it. Nice big motor to waft about in, very comfortable. MPG from a V8 might’nt be great (but then my 2.0 petrol auto only gets 20mpg) but you know it will go on forever and not need a fortune on repairs every couple of months. @ Will M. According to a seasoned Used-Lexus Vetren I know, they don’t go wrong…for a long time. And then, BANG! they get lots of major problems all at once. Or maybe he’s just unlucky! 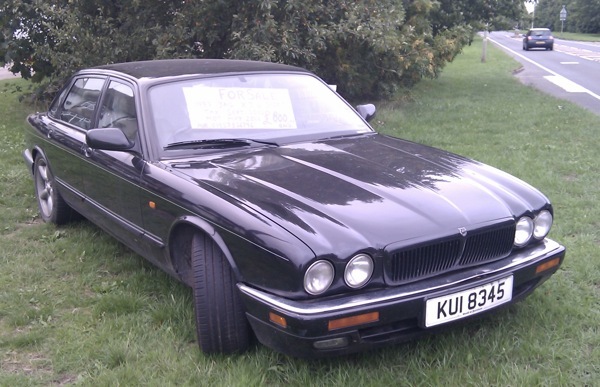 Dont suppose it matters now but I know in the early 90’s Jag had two of them to be stripped down to see how they were put together, and couldn’t believe that something of that quality could be sold for the price. I really like these cars, when it was first introduced I was very impressed with the gauge panel and the smooth smooth engine, a bit less with overall appearance. It is world class. It is no match for W124 though. My 1990 W124 diesel has racked up 600000 miles and is solid as a rock. Beautiful steering, very good road holding manners, no rattles, hardly any oil use, very good seats and most important no gimmicks. It is the most serious build thing I have ever experienced and it shows. It is utterly dependable. It can do Amsterdam to Paris and back without having to visit a petrol station if I keep my foot steady. That is right no cruise control and only four forward gears. Still more frugal then those Prii and quit too. That’s because they only recently started selling them here. Launched earlier this year. I saw an Infinity SUV thing a few weeks ago, it just looked like a giant Quashqui. Didn’t look anything special, and just made me think the owner was a mug for paying over the odds for a big Nissan. The way Toyota price their parts it wouldn’t take much to go wrong before the car was a write off. I remember having to pay £35 for a temperature sender on a Toyota van, at the time the same thing for a Ford or just about anything else was about a fiver! The Japanese are even worse than the germans when it comes to utilitarian interior styling. I mean they’re all well screwed together inside, but nothing to look at. Honda learnt a lot from Rover in this respect. Lexus cars are superb. They do very little advertising and rely on word-of-mouth as being their best publicity. Owner satisfaction is very high and owners are very well looked after by the dealers. Dismissed by so many as posh Toyotas they are now a firmly established premium marque. Having driven a few over the years I can report that they are fine cars. Infiniti are arriving here now and they too, in time, will be taken seriously as a quality product. In this country we are always dismissive of anything new and never respond to threats until it is too late. That’s why we no longer have Rover yet Lexus thrives. Nice, but not in white with gold wheels. @ Dennis. £35 for a temperature sender?-OWCH! I bought a Lexus LS400 secondhand, intending it to be a keeper. This, of all the cars I have owned was simply the best of the lot. Comfort, performance, toys, and opulence. The family loved it, too. However, after 11 months of gentle, wafted driving, the car blew a headgasket and block without any warning whatsoever, at 135,000 miles. We were all totally gutted. Lexus enthusiast circles said this was unheard of. The lump is known for delaminating hoses, but at the post mortem, there was no evidence of this. I would have another in a heartbeat, but as everyone now faces, or face, economic uncertainty, I cannot justify this at the moment. But the car will live on, for the fantastic times, in all our memories. 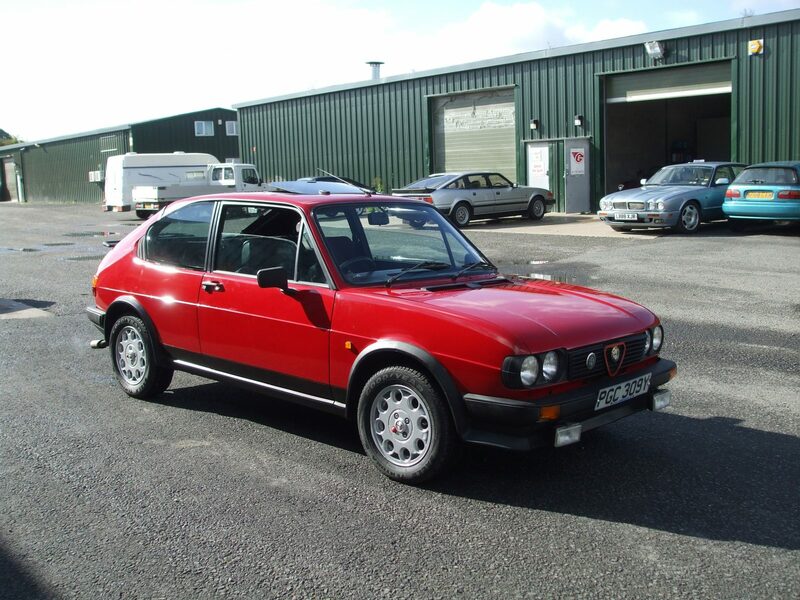 I remember trying one out in 1990 to see how it compared with my 1985 500SEC which by then I had had for 5 years and which at that stage had done about 220,000 miles. It reminded me of nothing more than an upmarket Ford Granada. Not for me. I think I had a lucky escape : those I know who have had them for serious use have found them to be a very expensive hobby once out of warranty . The vast majority of LS400 have gone to the scrapyard . They are not all that reliable, and repairs are uneconomic . An example : £2000 to replace a starter motor! The LS 400 was superb, way better than any German offering but you always knew this was japenese,the customer service was without equal,bouquet of flowers in the rear after every service and like for like car on hand if required. The GS always felt and looked Japenese, it should have kept its Toyota badge as per home market, was it called Aristo or Ezcelsior? Having owned one of these motors for a few years I can say that my LS400 has proven to be the most reliable, best engineered car I have ever owned. Bland to look at maybe, but boy, fabulous to drive. 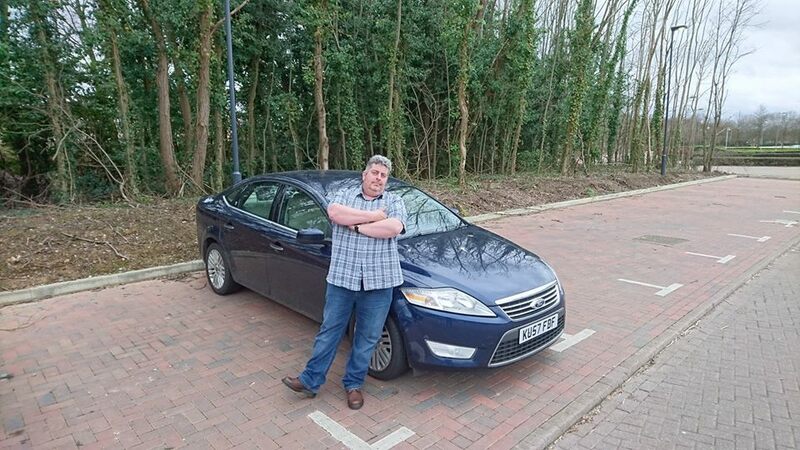 It’s very quiet, has an extremely smooth power delivery, a butter-smooth gearbox, cossetting ride, bags of power from a VVTi V8 and has supremely comfortable high quality leather seats, plus, all the extras you could wish for. I would rather have it over a newer BMTrouble-you anyday. I did 87,000 in 2 and a half years in my 1997 Ls400. Absouletely superb. Now I have replaced it with a 139,000 mile 1999 Ls400. That is special. You do not realise how big it it until you see one and think ‘oh my look at the size of that thing’. Not many people have them which makes it even more special. Boy you get respect when you are on the road. Next best car I had was a W124 E220. Now that is special also. Looking at a W116 280se for looks.